Gainz Sports Gear is the manufacturer of elite and unique weight lifting and cross training equipment. 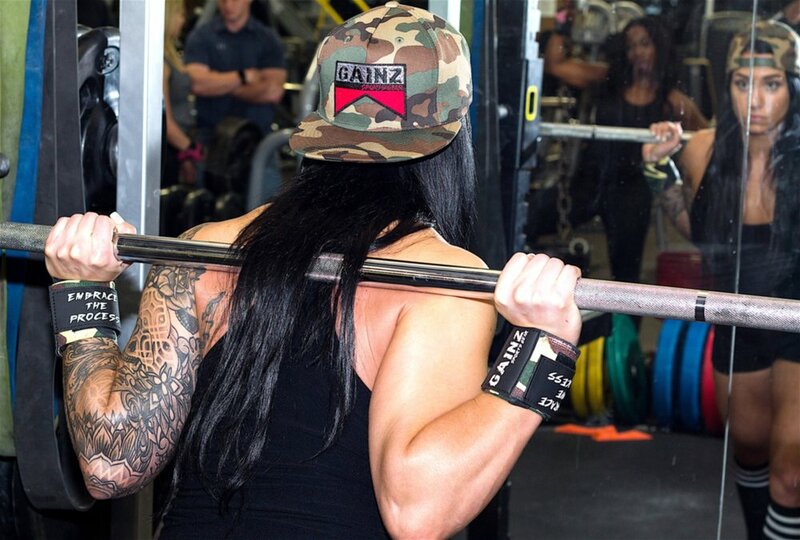 Gainz Sports Gear is a company that designs and crafts an unrivaled range of robust weight lifting and cross training equipment to empower gym enthusiasts. We, at Gainz Sports Gear, have always proven a track record of reliability and aim to preach and practice it, during the entire span of our existence. Our team has extensive experience, which ensures that you will be given the correct equipment information and it will be aimed towards your exact needs and facility. We give our customers the sound advice on the best fitness equipment for them, to meet their requirements and budget. If you are looking to start up a gym or studio or simply upgrade your existing gym equipment, then your quest ends here. A gym enthusiast strode in search of the first-rate equipment at an affordable price. After doing meticulous market research, he was surprised to know that serious discrepancy had become the part and parcel of the market. He concluded that the efficient products were grossly over-priced and the products that were bargain were of inferior quality. Time has now and then proven that, “Necessity is the mother of all inventions”. The idea of Gainz Sports Gear was born this time for all the gym enthusiasts, to satiate their desire of getting equipment of supreme quality at reasonable prices, and Mr. Cornell Conaway, the owner of Gainz Sports Gear, laid the bricks for the athletic foundation of this company. Mission: Our mission is to assist you, so that you can make informed decisions, and choose the perfect gym equipment for you. We are here to make sure that our customers receive perfect service, delivery and after care with their fitness equipment. Vision: We continue to set the standard within the fitness industry for product durability, performance, value and will continue to do so for many years to come. We want to set a benchmark by becoming the “Strongest Name in the Field of Fitness”. EMBRACE THE PROCESS is a slogan that we foster. This slogan delivers a beautiful message that no matter where we want to reach or what goals we have, we first have to embrace the process that will lead us to our destination before initiating any action for it. These three words have enormous power to propel you to turn your dream into reality and that is why our slogan is brilliantly placed on our products to motivate you to strive and accomplish your goal. Purchasing Gainz Sports Gear equipment provides you with the 7 P’s of obtaining Gainz. “PROPER, PRIOR, PREPARATION, PREVENTS, PISS, POOR, PERFORMANCE”. Want to see how they work? "GAINZ Load & Lock Grips provide me the support I need when I am doing any type of push and pull exercise. In my opinion they are the best grips i have ever purchased. When I want to actually feel the bar the GAINZ Wrist Wrap keeps my wrists stable especially when I am lifting heavy weight." "I have tried many other wrist wraps on the market the GAINZ Sports Gear Wrist Wrap have by far exceeded my expectations. The no thumb loop function has added comfort to my wrist and the material used is definitely of high quality. I can't forget the eye catching look of the product as well." "I absolutely love them. I pushed 275 on the decline bench for 8 reps. The most I have previously lifted at that weight was for 5 reps. I use them for biceps too and it definitely lets me focus on the muscle more while providing my wrist with superior stability." I plan on purchasing the Gainz Load & Lock Grips as well, I need both items in my bag for sure!